Check out some of the best book stores New York has to offer in NYC and a variety of other cities and towns throughout the state. Read about all types of bookstores in New York, from large chains to little independent shops. One of the Great New York Bookstores! Established in 1977, St. Mark's Bookshop caters to students, academics, artists, and discerning readers. The neighborhood is home to New York University and such cultural institutions as St. Mark's Church in the Bowery--which offers theatre, dance performances, and poetry readings. You'll also find many vintage clothing stores, designer boutiques, import shops, antique stores, record stores, restaurants, and bars in the area. The store is open Monday through Saturday from 10 A.M. to midnight, and Sunday from 11 A.M. to midnight. Check the website regularly to find out about the latest book arrivals, recent store bestsellers, and autographed editions. Gift certificates are available. Home To New And Rare Books In New York! Strand Book Store was founded in 1927 by Ben Bass and was formerly called Book Row. It began as a modest book store, the establishment expanded and became a hub for writers and book enthusiasts in Greenwich village. 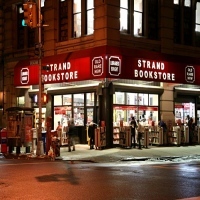 Today, Strand Book is managed by the son of Ben Bass and is now located at Broadway. Strand Book Store covers a lot of topics from philosophy to finance and many more, it also offers an array of literary works from different classical writers such as Mark Twain and Shakespeare. So visit Strand Book Store today and find the book of your interest. You never know you might even find a rare and interesting book at Strand's. Only The Best At Mcnally Jackson! 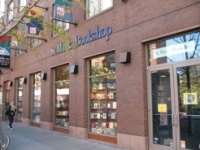 Mcnally Jackson book store is home to many literary works and best-selling books in New York. It aspires to be the center of Manhattan's literary culture. You can find many interesting books in the book stores, and with the knowledgeable and helpful staff you will be sure to find the book that you've been looking for. 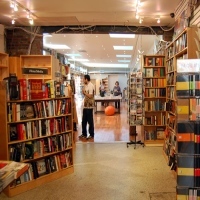 Mcnally Jackson book store is just a great place to be, whether you're looking for a book, something for the kids, or books from different countries, you can find it here in Mcnally's. A Book Store With Many Amazing Stories! Books Of Wonder is a place where kids and adults find interesting books to read. With its many collections of novels and classical stories, there is a book at Books Of Wonder for everyone. The book store offers activities such as book reading and art classes. It's a perfect book store for children, it teaches them to love books and to read great stories. Books Of Wonder is one of the leading dealers of original children's book art, where the paintings can enhance a child's imagination and foster thinking. It's a great place for finding children's stories. Greenlight Book Store, A Place to Find A perfect Book! Greenlight Book Store opened its doors in 2009 with the hard work and dedication of two business partners. Today Greenlight Book Store offers many great and wonderful books from sci-fi to literary works and many more. There is a wide array of books to choose from. With its helpful and knowledgeable staff, you will surely be able to find the book that you need. Greenlight Book Store is a place where you get to enjoy and learn, also they offer programs for children and book groups where you discuss and share your thoughts on a certain book. The book store is a great place to be, with many good books to read. BookCourt, More Than Just A Book Store! A book store that has a wide collection of books from renowned authors and many best-selling books. BookCourt is a cool place to chill and relax, a place where you get to enjoy great reads from best-selling authors and amazing literary works. The store also has book clubs which is a perfect way for group discussions and for greater understanding of the book. BookCourt is simply a great book store that has something for you, whether you're a fan of fiction, architecture, law, science or children's stories it has it all for you. Spectacular Reads At 192 Books! Located at 192 Tenth Avenue of New York City, 192 Books offers a collection of books that feature classic literature, history, art and criticism, social science, children's books and more. It is a place where it is comfortable to read books with a relaxing ambiance. You will definitely love coming back to 192 Books. 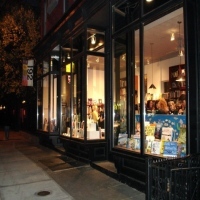 192 Books hosts many events such as book readings, group discussions, and art exhibits. It is a great way of getting acquainted with other book lovers and to enjoy with amazing people. So visit 192 Books today and enjoy amazing reads. Not Just Any Ordinary Book Store! The PowerHouse Arena is a 5,200 square foot space, where it has multiple purposes. It is a venue that houses many books of different genres, boutique, a venue for exhibitions and performances, also it is designed to be like an amphitheater where it hosts several events and expos. 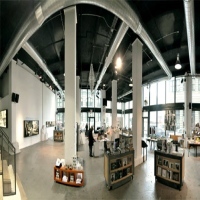 Book lovers and enthusiasts from all over New York come to The PowerHouse Arena where they can find interesting books and watch literary events and gallery exhibitions. A Cozy And A Wonderful Book Store In New York! Housing Works is a charitable institution where proceeds go to the homeless people affected with HIV/AIDS. Their Book store offers a great selection of books with many categories such as fiction, non-fiction, art, science, travel and many more. Also they have unique and rare books that are a good read. The place has a wonderful and inviting atmosphere, you can read in peace while you enjoy the delicious food from the cafe. Housing Works Bookstore Cafe also hosts several literary events as a means of fundraising and raising awareness about homeless people with HIV/AIDS. 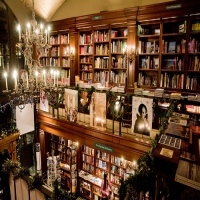 A Beautiful Bookstore In New York! Rizzoli Bookstore has a wide collection of books categorizing from design, architecture, culture, and literature to French, Spanish, Italian, and English. You can find great literary works from the early centuries to the present. Rizzoli Bookstore is a place perfect for spending the day reading. With its inviting environment and a European classically designed architecture, you will feel more like at home. Rizzoli also hosts several events such as book readings, art exhibits, and launch parties. It is a fun and exciting occasion where you get to learn and meet great people along the way. So come to Rizzoli Bookstore, a New York destination for nearly 50 years. An Excellent Family Owned Book Store! Posman Books has a wide array of book collections, ranging from contemporary classics, literature, arts, science, travel, fiction and more. Whether for kids or adults, Posman Books has got it for you. You can enjoy great reads in the book store with a variety of amazing novels and many more great stories to choose from. Surely your stay at Poseman Books will be time well spent. The staff at Posman is knowledgeable and they are very willing to help you in finding the perfect book for you. So come to Posman today, one of New York's excellent book stores.